I haven’t read a lot this past week because, well, moving. It’s time consuming. 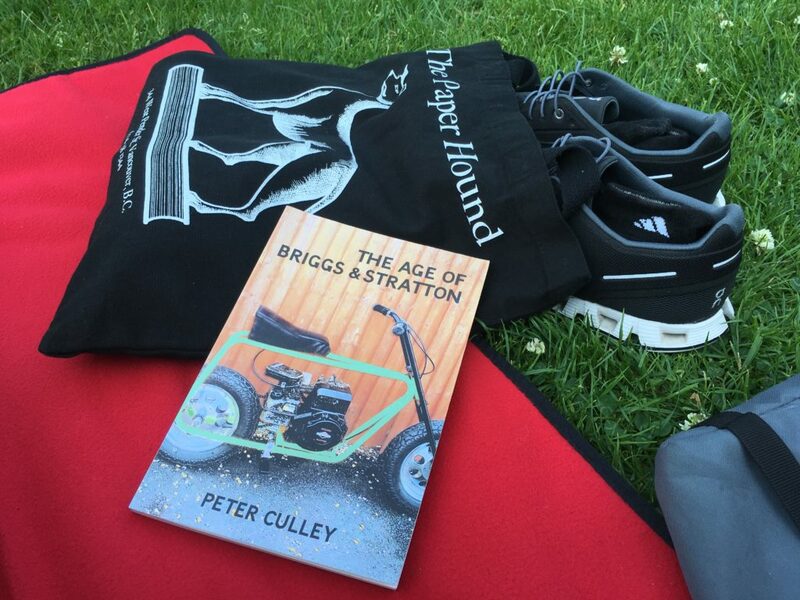 But the other day, I got to kick off my runners and sit in a park on a blanket and sip La Croix lime and I grabbed a book of poems to read and the book I grabbed was a bunch of poems about two-stroke engines and some other stuff. I didn’t know Peter Culley but knew him. I was managing editor when The Capilano Review published a trio of poems he wrote with Elisa Ferrari in the “Languages” issue in 2014. I recall the shock to the Canlit community with his sudden passing in 2015. And I’m reminded of all of this because earlier this week (August 15) was his birthday and it’s weird to have friends of social media that are not longer alive but social media carries on as if they are. It is not an easy collection of poems, but it is great. Shout out to the best little bookstore in town. I ran a fair bit but not as far as I would have liked because, well, moving. It’s exhausting. I did not expect to long run this week, but I did have goals to run five-of-seven days and work on marathon pace. Check off five-of-seven days. Pacing focus was a pretty big X. Saturday morning was 10 miles at marathon pace that ended up being 17 KM too quick. It felt really great though. This evening I wanted to run for two hours at goal marathon pace, but after a week of packing and hauling, especially these past two days I am simply out of gas. I managed to get in 14 KM at marathon pace with a 1 KM warm up but I wasn’t going to keep that up any farther, so I tapped out. If there’s one silver lining it’s that hauling crates has forced me to do all the arm and core stuff that I normally avoid. Maybe in the new place I can forge a new routine. I already run in giant circles for hours. Picking stuff up and putting it back down doesn’t seem like too much of a stretch.